In Stock. Sold by Sky Outlet Mall and Fulfilled by Amazon. Gift-wrap available. Sold by Sky Outlet Mall and ships from Amazon Fulfillment. Sold by Cali Pacific Imports and ships from Amazon Fulfillment. 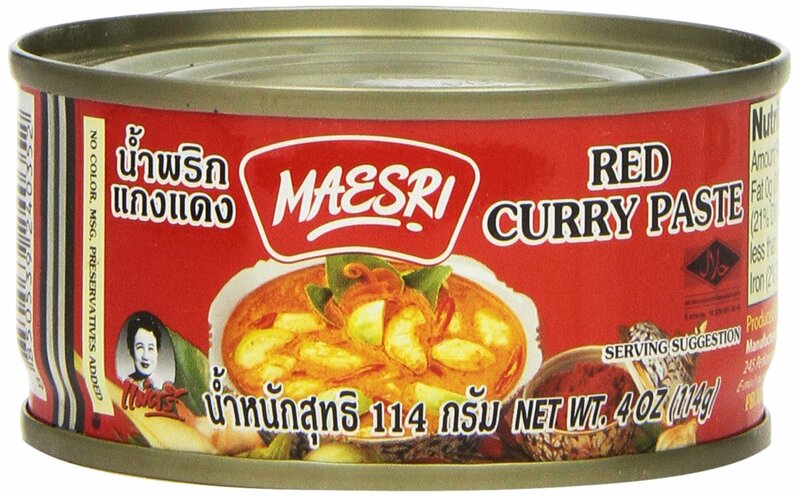 Maesri Brand is recognized in Thailand as a high quality export product with rich taste and authentic flavor. For a quick delicious Thai dish using this product, stir fry one can with 2 cups of coconut milk and for 5 minutes. Add 2 lb chicken or beef, then pour in 2 cups water and keep boiling. Add 1/2 lb small eggplants until cooked. Sprinkle with basil leaves and fresh chile peppers. Serve with jasmine rice. Product of Thailand. 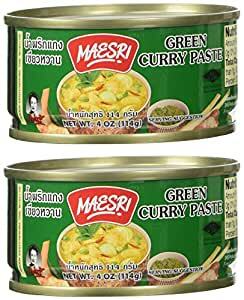 We also offer a gourmet green curry paste. 5.0 out of 5 starsADD with fresh ingredients & coconut milk 4 a KNOCKOUT dish! First time making Thai green curry in the handy Instant Pot (almost 4 years, still obsessed, use that appliance 4+ times/week). To diced chicken breast, added bamboo shoots and Thai chilis, basil, zucchini, sliced red pepper, galangal, keffir lime leaves & coconut milk and with this paste and in 4 minutes I made RESTAURANT GRADE green curry. Deeply flavorful, perfectly balanced - this will be my go-to when I feel like Thai food faster than delivery can get it to me. 5.0 out of 5 starsOh! Oh! More! More! 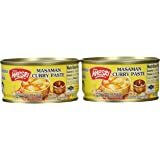 Spicy and fragrant, this curry paste is superior to many, including fresh-frozen types I have found in local Asian groceries. I found this curry first in Tucson, where it was affordable (read: cheap) and usually available. 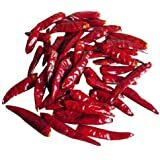 I like very hot spices for an American palate-- 'Rooster Sauce', vindaloo Indian curries, and wasabi, for a few examples - and so this is just a fresh 'wake up' for my tastebuds. 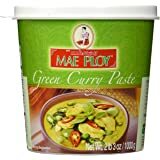 I have made this paste with coconut or cream, and sometimes soy milk - a versatile, inexpensive kick that livens up everything from meat curries to all-vegetarian vegetable curry stews. Curry has become one of my favorite foods over the past year. 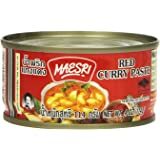 We've always struggled to make good curry at home as the grocery store curry pastes don't have very much flavor. I always found myself having to use an entire jar instead of the 1Tbsp that they tell you to use. A friend of ours recommended we try this brand. It had AWESOME flavor but ended up being a tad too spicy for our taste. I'm not sure we'll purchase it again. If we do we now know to not use quite as much. 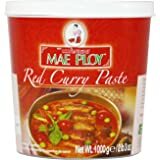 We've really been enjoying the Mae Ploy brand of curry pastes which can be found here on Amazon as well. 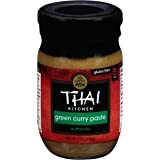 If you like your green curry at Thai spice levels though, you'll LOVE this! 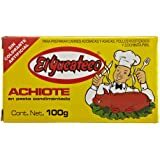 Be careful on the proportions, this stuff is incredibly spicy, it will tear you up, if your not used to heat. 5.0 out of 5 starsLove this brand. Delicious. In my opinion, this brand has the best flavor. Wish the container was resealable but that's what plastic wrap was made for. 4.0 out of 5 starsTasty but too spicy. taste just like the restaurnt. a bit too spicy. But main problem is that the cans are very small. The instructions have you add a ton of coconut milk. So i guess its not the most healthiest dish. It's tasty and spicy . You can taste the different flavors that make up the curry paste as well as the heat . 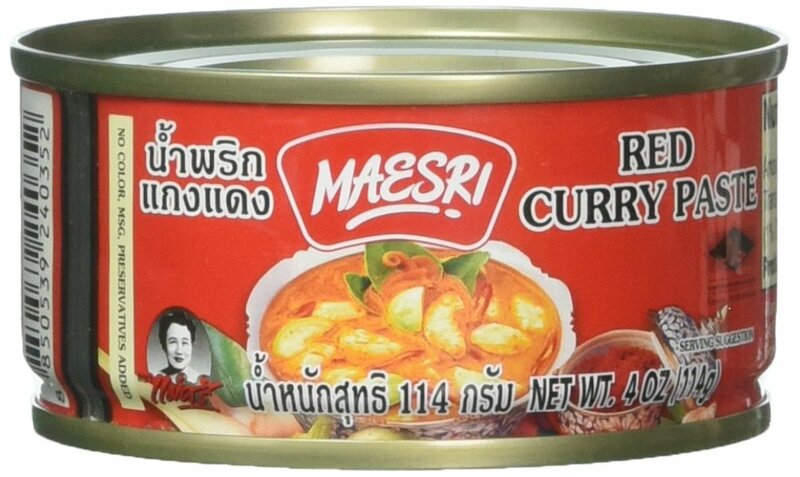 This is much spicier than the Mae Ploy green curry paste. I did not use the whole can as directed in the recipe at the back. In fact, I only used 1 1/2 tablespoon and it was already spicy for my taste buds. 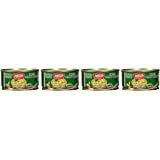 The green curry flavor is very noticeable even though I only used this much. I put the remaining paste in the freezer for future use. 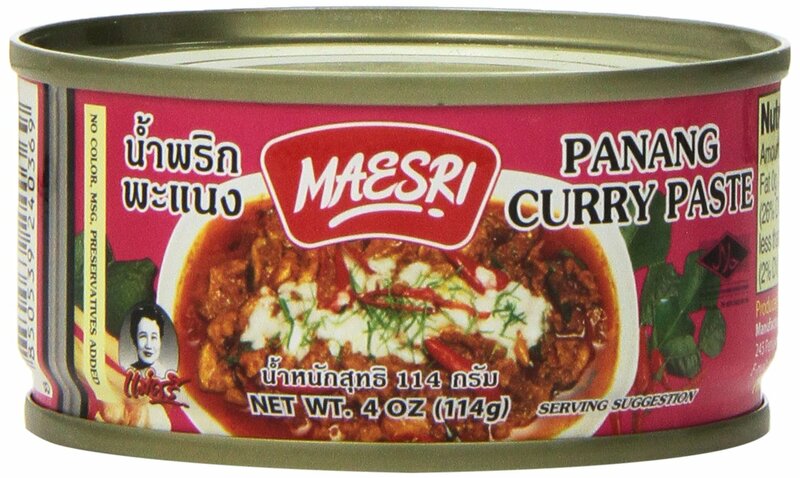 I still prefer the Mae Ploy brand because you get more for your money.